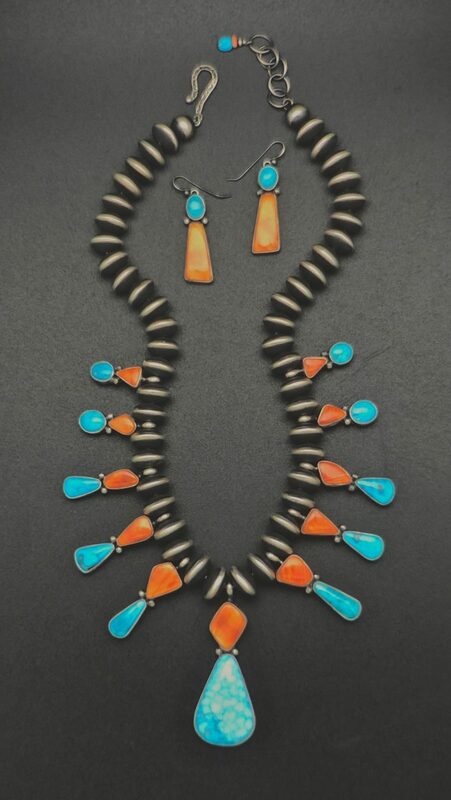 A rare opportunity to acquire this exquisite necklace and earring set. Handcrafted and signed by Navajo artist Lyle Piaso. The necklace features 11 separate sections that are masterfully graduated in size from the center to both ends. 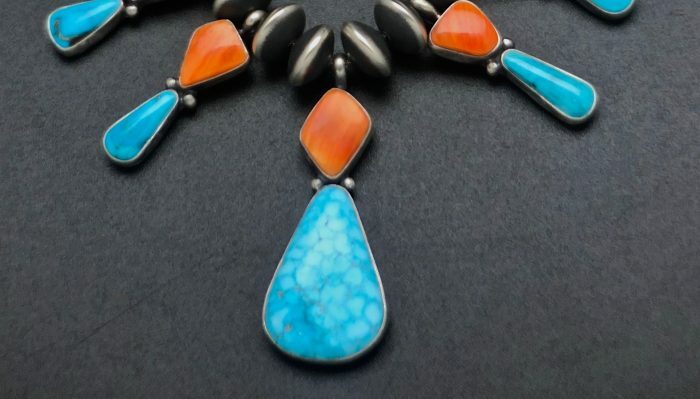 Each section has a single piece of extremely high grade Kingman Turquoise from Arizona and an exquisite piece of Orange Spiny Shell . 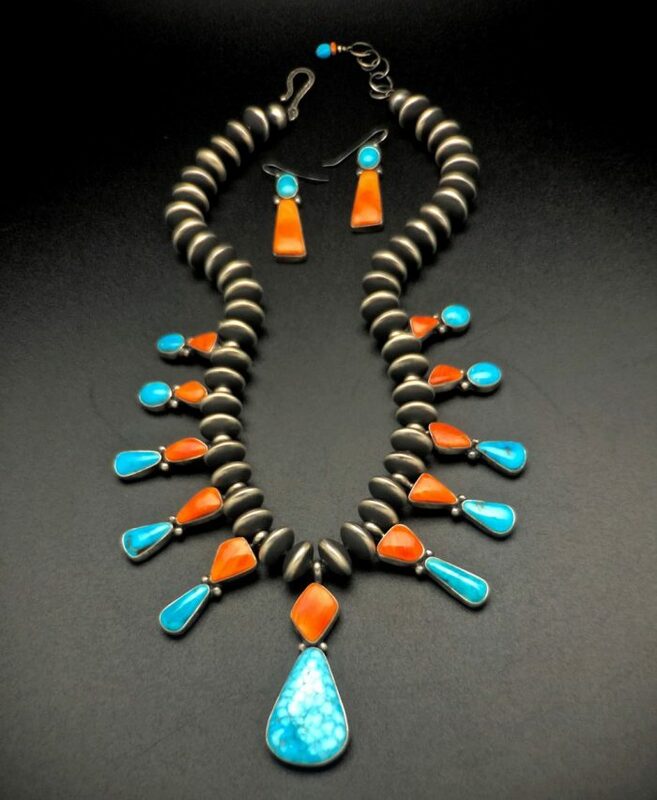 Each stone is separated by a handmade sterling silver beads made by Navajo artist Rose Martin. Necklace is approximately 24 inches in overall length. Necklace is strung on a foxtail wire. 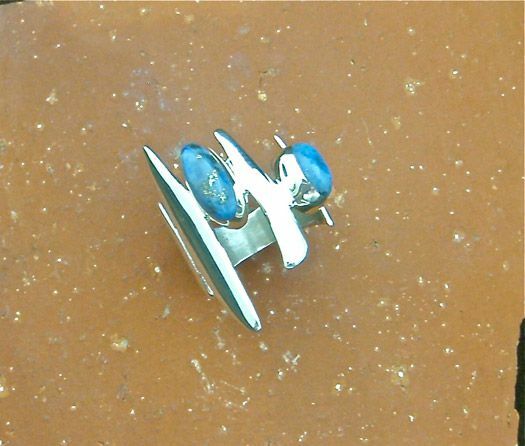 The matching earrings are approximately 2 1/4″ long. Shown on Sterling Silver wires but can be put on posts upon your request. Share the post "BIL 00000 LYLE PIASO “ONE OF A KIND” NECKLACE SET"